Lock in a great price for Super 8 by Wyndham Florence Canon City A – rated 8 by recent guests! It was just what i I needed, somewhere to sleep. It was clean, everyone was friendly, and the room was reasonably priced. Clean, comfortable and off the beaten track. The staff was helpful and courteous. Breakfast included a complete continental breakfast along with toaster waffles. Dining area was clean and well stocked. Would definitely stay here again. Breakfast was fine--good choice. View of the mountains was very nice. The room was clean and comfortable. The staff was friendly and helpful. I like that the facility was in near my son where I could visit him. Room was good , even the staff was very polite and helpfull. The room was clean and fresh, and comfortable. Not far from where our family lives. The Breakfast had no hot food. No eggs, biscuit and gravy. You could toast these waffles. Has danish, fruit, coffee, juice. I wanted coffee when I woke up. There was a coffee maker. But no Coffee Pot. Staff was great, went out of there way to help with a problem I had .good job . 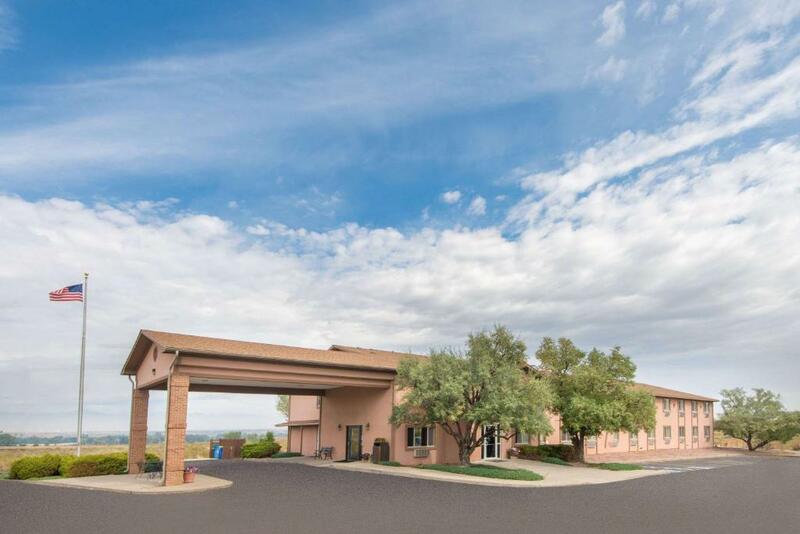 Super 8 by Wyndham Florence Canon City A This rating is a reflection of how the property compares to the industry standard when it comes to price, facilities and services available. It's based on a self-evaluation by the property. Use this rating to help choose your stay! 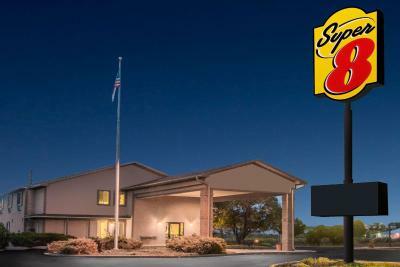 Super 8 Florence Canon City A offers accommodations in Florence. A free continental breakfast is served each morning. All rooms include a TV with cable channels. Certain rooms feature a seating area for your convenience. Rooms include a private bathroom fitted with a bath or shower. Super 8 Florence Canon City A features free WiFi throughout the property. Eden is 27 mi from Super 8 Florence Canon City A, while Pueblo is 29 mi away. Colorado Springs Airport is 37 mi from the property. When would you like to stay at Super 8 by Wyndham Florence Canon City A? 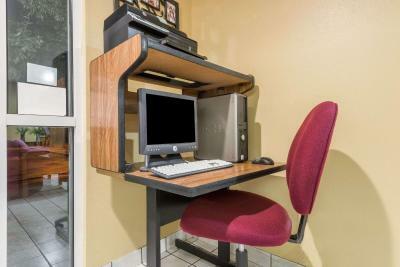 This triple room features a seating area, microwave and air conditioning. This triple room has air conditioning, cable TV and microwave. This family room features a microwave, seating area and air conditioning. This double room has air conditioning, seating area and microwave. This family room has a cable TV, air conditioning and tea/coffee maker. House Rules Super 8 by Wyndham Florence Canon City A takes special requests – add in the next step! Super 8 by Wyndham Florence Canon City A accepts these cards and reserves the right to temporarily hold an amount prior to arrival. Please inform Super 8 by Wyndham Florence Canon City A of your expected arrival time in advance. You can use the Special Requests box when booking, or contact the property directly using the contact details in your confirmation. Breakfast was skimpy with little protein. Grounds were not kept up. Charged my card upon arrival, tried to charge it again claiming we owed for two hand towels and pillow? Dumb. Refrigerator hummed a little loudly at night. The room did not appear clean even though it had a strong smell of industrial disinfectant. The shower floor was squeaky. There was no comforter on the bed. The front desk people were great! The carpet was a bit old. The location and the quietness. The staff was very unprofessional. We made online reservations and I don't know if it was for that reason but our room was not cleaned the entire 3 nights of our stay We came back to a room that was dirty daily. Towels on the floor beds aren't made, trash not emptied, carpet not vacuumed. I told the attendent at the front office, and he said Maid didn't do it, you did it. Basically saying that it was my job to clean my own room instead of themeven though I paid 65 dollars a night.. Next time, when I come out to visit my son I will go to a different Hotel; although, it may be a distance away. Oh, by the way, this place has demoted at itself to Seedy motel. The night receptioist and the maid are obnoxious people. This place needs a better manager. We booked the room for 5 people , but it was not comfortable for 5. Not much breakfast option also. Like muffins were not there , eggs are not there etc..